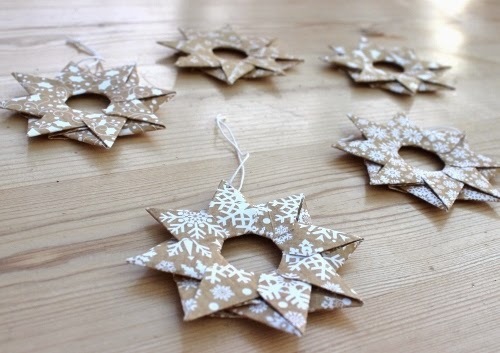 My tree had a few gaps so I've made some origami stars to match these baubles and this wreath. They remind me of iced gingerbread ! Here's the easy to follow tutorial I used. oo oo Why didn't I see this before these are a great idea.